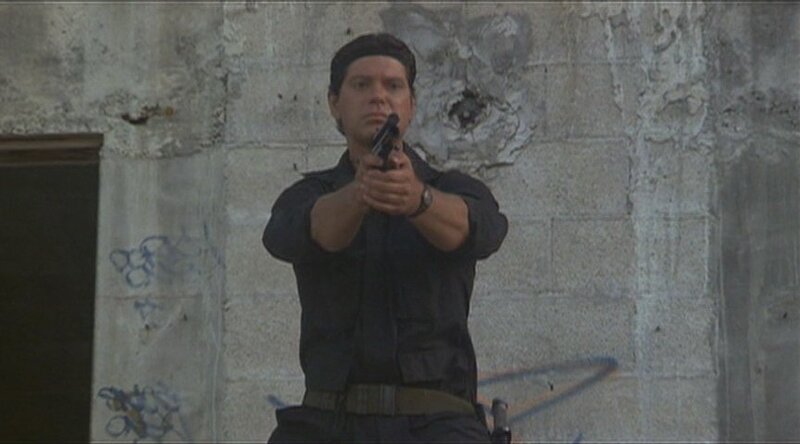 The movie Band of the Hand (Michael Mann, 1986) features a brief use of a paintball gun. 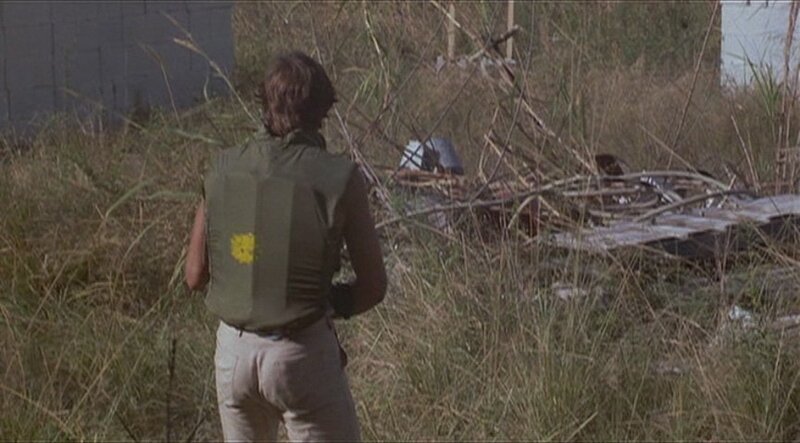 At the beginning of the team's training, Carlos (Daniele Quinn) takes a ball on his heavily padded flak vest. of the marker can clearly be seen above his left thumb.